Note: I received an eARC copy of this title in exchange for my honest review. I was not paid to write this. All thoughts and opinions are my own. However later, once Gracie’s POV came around, I just could not sympathize with her. I just couldn’t. I knew something bad happened to her. Something BIG that made her despise Zack. However, you don’t find out what it is until Zack finds out many chapters later. Therefore, I just could not stand her POVs. That unfortunately, made the story less enjoyable for me, and really this was the main issue I had with the story. It made it difficult to get through the first half of the story. The suspense and Gracie’s ability to read minds definitely felt secondary in this story to me and possibly at times, like something that was just added in to cause certain events to occur. It didn’t bother me as much as my disconnect with Gracie, but it was a tad bit disappointing. To be honest, I’m also a bit shocked that Zack didn’t even have an inkling suspicion as to who was the mastermind behind Gracie’s BIG incident that sent her away. I thought it was quite obvious. I did enjoy how the plot played out though in the end. All-in-all, while Safe at Last is a good story, it definitely wasn’t my favorite in the series thus far. 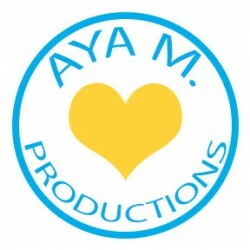 Maya Banks wrote an amazing hero, which is definitely a key component of a good romance. (Seriously, I loved Zack!) Unfortunately, however, my dislike of Gracie for about half the book just made it difficult to get through. 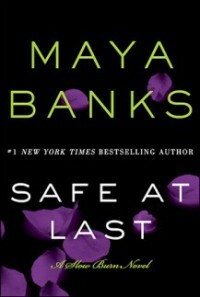 If you are a fan of Maya Banks or a fan of second chance romances, I definitely suggest you give reading Safe at Last a try, and let me know what you think!